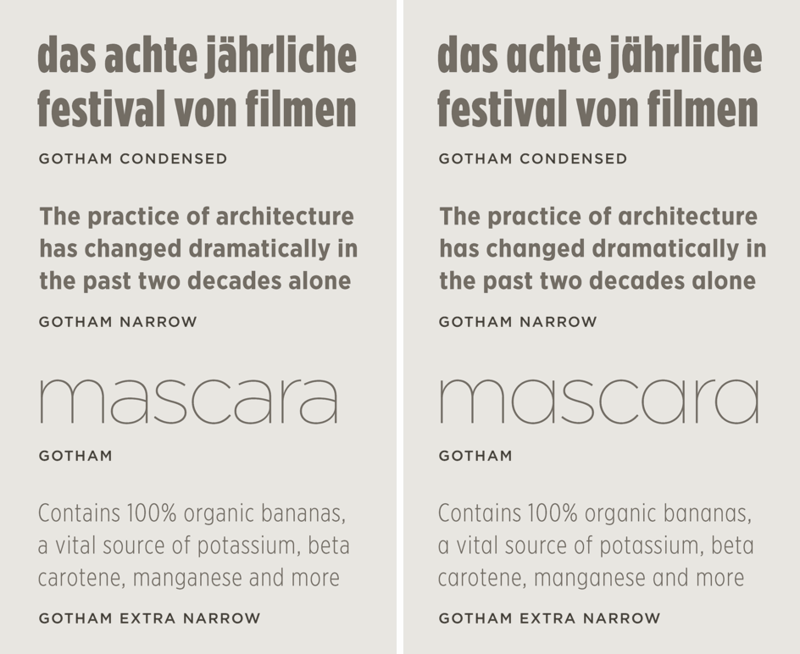 Gotham Font Features: Voice | Hoefler & Co.
A font with many voices. Friendly without being folksy, confident without being aloof, Gotham's many moods run from hip to nostalgic to brash to eloquent. A typeface should last a lifetime, which is why Hoefler & Co. strives to design fonts that can survive passing fads in typography. 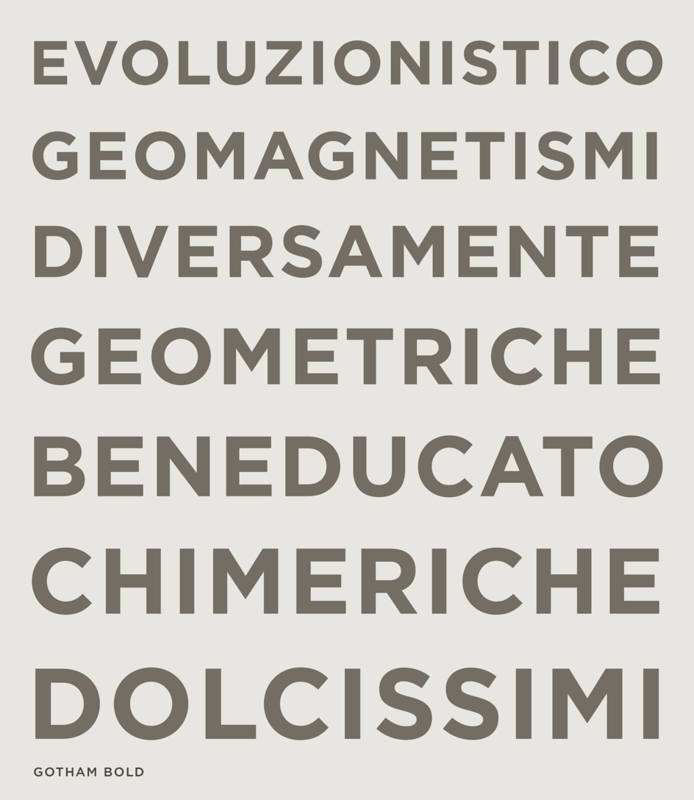 Gotham's collection of 66 styles offers a wide range of voices to choose from, and the fonts' receptiveness to changes in size and spacing makes Gotham an especially elastic design, one capable of moving effortlessly from one style of dress to another. The alphabet’s most powerful letter. OpenType versions of Gotham include something extra: an alternate 'single-storey' lowercase a, whose inclusion can subtly change the tone of a text. Above, four settings of Gotham transformed by a single letter: a warm Condensed Black turns frosty, a contemporary Narrow Bold goes retro, a rational Gotham Thin gets trendy, and a bookish Extra Narrow Light becomes neighborly. 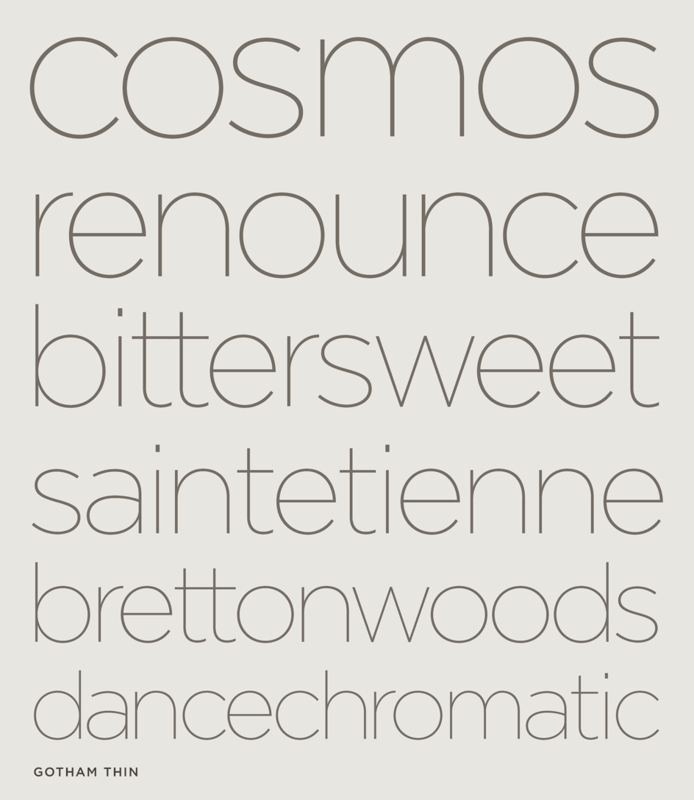 Above, a modish setting of the Gotham Thin lowercase, in which tight tracking helps effect a young, energetic air. Below, a more traditional arrangement of the Bold capitals, where generous spacing conveys an earnest, declarative tone. Since Gotham has many recurring shapes, the space between letters becomes especially important in giving them form. Subtle shifts in size and spacing can profoundly alter the mood of the typeface.